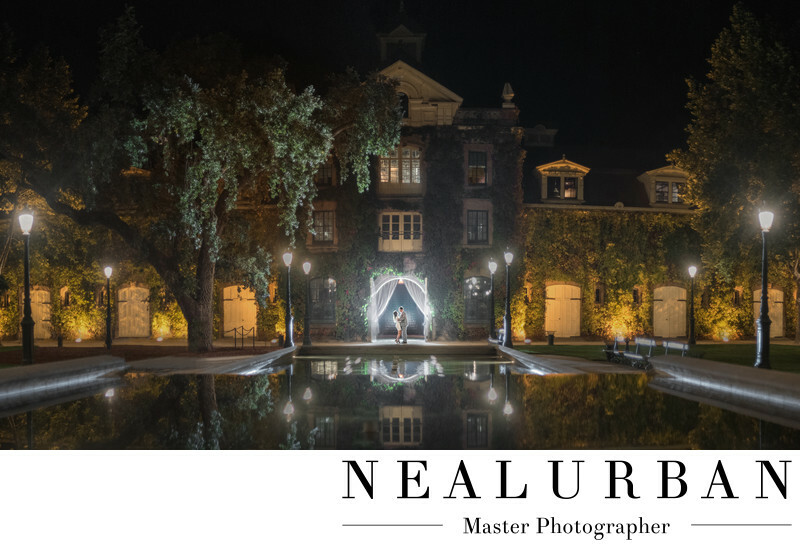 We had the pleasure of photographing a Wedding Rehearsal Dinner and one of our favorite wineries in Napa Valley California at Inglenook Estate. This is the same place Neal and I had our welcome dinner for our Sonoma Wedding! And now we are member of the estate! This trip was for the newlyweds Courtney and Nick! They flew us out to California to photograph their wedding in September of 2018! It was a beautiful event! Before heading into the rehearsal dinner, the day started off at Silver Oak Winery to capture the guests wine tasting and going on a few tours. Then it was time to go to Inglenook Estate for the private rehearsal dinner. With a group of about 50, we were welcomed with open arms and treated like family. Guests experienced a cave tour and amazing dinner served in the barrel room! There were toasts made by the Bride and Groom and also Father of the Bride. A really great thing, was almost all of the guests including Courtney and Nick were all from the Buffalo area and were visiting Napa Valley for the first time! People were free to take their wine and walk around the grounds as well. We love this building and wanted to incorporate all of it for a nice end of the night shot. We tested out all of our lighting while family and friends headed back to the hotel.We were ready with posing and now had the couple all to ourselves. Neal was taking the shot from across the courtyard to get the whole building and foreground in the photo. The light posts were lighting up the fountain area, and casting a nice glow on the property. We added a backlight in the doorway where the couple was standing. We loved how it lit up the drapery and doors to the entrance. This amazing evening came to an end, but the wedding took place the next day at Chateau St. Jean Winery in Sonoma CA! Location: 1991 St Helena Hwy, Rutherford, CA 94573.